On-page optimization or On-page SEO is a basic part of the SEO process that conducts using a set of controlling factors within a site or page to influence a SERP rank. It is a foundation of marketing key base to basically capable a site’s presence towards ultimate customers. In a brief, an optimization goes with the processes of ranking factors located on a page or site is called On-page SEO. A tag of HTML that includes a set of text which represents the meaning of a page’s contents composed in the web page is called Title Meta Tag. It has a basic role in On-page SEO to head the ranking.But every page title of a website should be disciplined in terms of unique title, meaningful covering the page, furnished with proper keywords and comprehensive title length. The absence of proper keywords, as well as more than one same title tag in the same site, reduces the strength of SEO value. A title should not be longer than 65 characters. Titles appear in the SERP with a brief description in the form of anchor text that is more likely clicked by the researchers when they find the linked sentence is well matched with their expected one. That is why marketers use to place their marketing key words in the title to draw the potential targeted visitors. However, the title tag placement area is located in the head section of site HTML code. Description meta tag is a type of meta element which is HTML attribute that briefly presents of a site or page contents therewith the title can appear in the SERP, but stay hidden during visitors landing on a site, although bot (or spider or crawler) can read it well. Its placement also located in the same section in the header, adjacent below of the Title Meta Tag. Although it does not carry enough importance for PageRank, having a great role to attract to the traffic to land on the web page, because it represents the page contents so that visitors find their right direction from it what they look for. Then, description meta tag can be defined as a marketing key text to draw attention the visitors and compel to browse the page from the SERP. It is obviously needed to stitch the weighted keywords in the meta description so that search engines can involve this description therewith the title tag. A standard length of a description meta should not be formed more than 160 characters. A tag that contents a text about a photo or image is called the ALT tag. As search engines can’t read the image on the website, can understand the text only, then ALT tag is being used to string up the image to adapt the photo in the search engine functions so that images appear in the SERP. When this type of tagging process goes through the fair rule of SEO that keywords are placed in the tag field carefully, then it bears importance to increase a sites SEO value to rush the ranking up. Because images are a very important component of the text area that draws attention to the expected traffic on the website when they find images in the SERP after the query. An image that is posted on the blog without ALT tag will be shown in HTML tag code like <img src=”marketingkey.jpg” width=”280” height=”200” >, But when we place a text keyword ‘marketing key’ in the tag field, then it appears like <img src=”marketingkey.jpg” width=”280” height=”200” ALT=” marketing key”> Although this type of tagging does not yield boosting result as it did earlier, because of its abusing in past by webmasters, still it bears its necessity to increase value of search engine optimization. So, ALT tag with the appropriate keyword(s) still gets an upper importance in organic SEO. Search engines include new sites to their index and regular updates on the basis of the sites currently existing. They crawl the websites every time to keep up the records and site owners could come to know using third-party SEO tools or searching through respective search engines using the URL as the keyword. Google as a major search engine willingly invites to submit a new URL and to tell them about it there. But they do confess their limitations that all the new submitted URLs to their index are not guaranteed when the submitted sites will be started indexing and when they will even appear in their index. But there are different opinions against site indexing by search engines through direct submission. According to experts, a new site should be submitted to different search engines indirectly is faster and natural than an uncertain way of any direct submission. They suggest to going major directories to submit first or to a high ranking site(s) to build up the link so that search engines find the best certificate about the new sites to approve indexing faster. It is obviously prestigious and best to invite the search engines, placing red carpet or link via any other high ranking site(s) so that search engines can rely on the fresher sites as per references from high-rank sites. They remark on a long experience that a link from the PR6 site can contribute indexing within 24 hours, whereas a link from PR4 can take 3 days longer. However, indexing is needed, whether a site to be submitted directly or indirectly, although it is a best-suggested path to go through the organic way of indexing. A complete mapping state of a site which is composed including all sections with a brief description is called an XML sitemap or sitemap. It facilitates the readers or visitors to visit all the sections of the site following links that are appearing in the SERP through quick search using site-URL as a keyword. Sitemaps are essential for a site to gain high ranking because of search engines highly prior to the sites who, having a clear site navigation system like a sitemap. 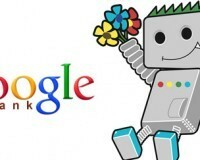 Created and submitted Sitemaps indicate and direct the paths to Google bot to crawl all the pages including URLs easily that may be impossible without the status of sitemap to discover them in the normal crawling system. How to create a sitemap and how to submit it are available to get help from third party tools or from Google Webmaster Tools . Permalink means the Permanent link on a webpage can be treated as a unique address of the page on the internet appears on the browser’s address bar. Permalink optimization goes replacing or adding best-weighted keywords to provide better On-page SEO for the site to increase its traffic. Because the Google search algorithm emphasizes on the keywords in the permalink, and on the basis of right keywords for permalink Search Engines classify the pages that bring up the site for more quality visitors. Example: Permalink structure from default settings: marketingkeytech.com/?p=21 and Permalink structure from custom settings: marketingkeytech.com/ Marketing Key/seo–lesson/ In this example, first link nothing says about the page, whereas the second link says that the page is about SEO Lesson which supposed to be a good marketing key. The second link can provide info to the web crawler, but the first one can nothing. So, the status of the second link can provide fuel for the search queries that site becomes capable to find available traffic when it reaches to the SERP. 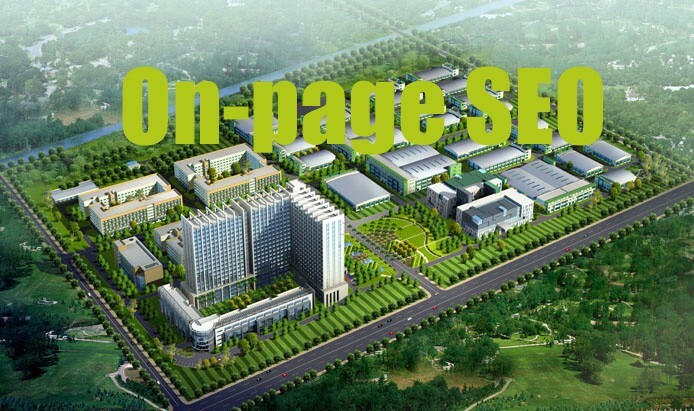 This Lesson Five (Part-I) regarding On-page SEO to be continued up to Part-II with the same number of the factor elements in the next post. All the above key elements of On-page SEO are pointed out briefly in terms of lesson’s space composition, but having set in mind to be articled every element elaborated later with applying proper strategic marketing ideas and concepts.